CoolUtils Total CAD Printer (https://www.coolutils.com/TotalCADPrinter) prints several CAD formats including DXF, DWF, DWG, PLT and over ten more file types. Total CAD Printer automates CAD printing in batches so you can easily print an entire folder full of CAD files. You can also select a variety of CAD drawing printers from which to print. 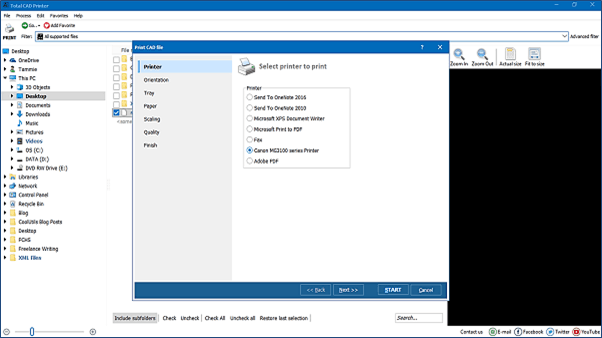 Total CAD printer has several additional options, including Fit to Page and paper tray selection. You can select ink quality to save ink and print in segments based on the printing equipment you have available. This is a very solid CAD printer utility that is user-friendly. Free to try. DWGSee DWG Viewer (https://www.autodwg.com/dwg-viewer/) is a CAD printer that works without AutoCAD for viewing and printing CAD files. DWG Viewer allows users to print DWG files in batch files for more convenient processing. 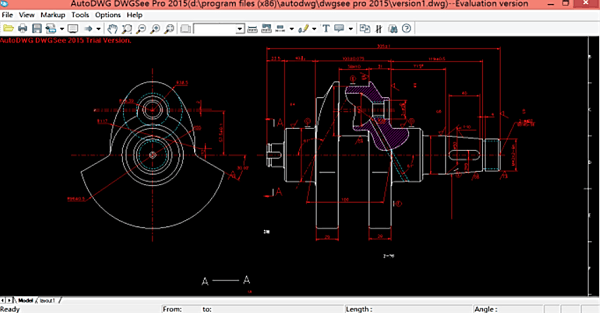 The downside of this program is it has very few CAD file types it supports (DWG and DXF). The free version of this program allows for CAD printing, but the PRO version has many more features such as publishing markup in PDF and Image files and converting DWG files to image formats such as JPG and GIF. There are both free and PRO versions of this program. Autodesk Viewer is an online option for those who don’t want to install software to print or view CAD drawings. 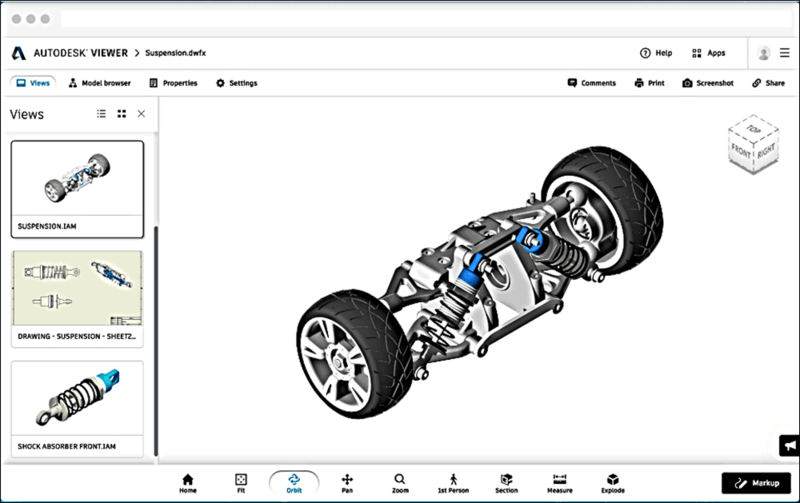 Autodesk is a CAD drawing printer and viewer that allows you to print 2D and 3D CAD drawings and supports DWG, STEP, RVT, and Solidworks formats. This is a very basic tool, but does allow you to print views of CAD files. This is a good tool if you are looking to just view, share and print AutoCAD files, however, that’s about where the functionality ends. This tool is free to use and works with your browser, so it works across all platforms. ABViewer (https://cadsofttools.com/products/abviewer/) is a CAD print viewer that allows a user to view, convert, measure, edit, and print CAD files. Supported file types include DWG, DXF, DWF, HPGL, IGES, STEP, PDF and raster and vector image formats. ABViewer also allows for batch and multi-page printing. This is a good overall tool for CAD files, however, since this is not strictly meant to print CAD files, CAD print features are limited compared to other CAD printing tools. Free to try. 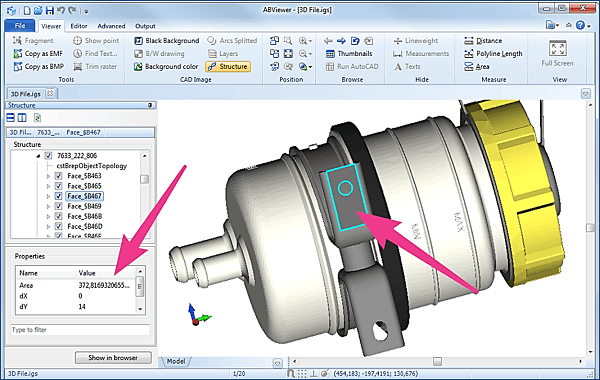 Tip: You can also convert CAD files to more popular PDF or TIFF files for easy sharing or printing. Try Total CAD Converter for that.